We got Tees!!! I have been asked about this shirt numerous times since it was first displayed at Pecha Kucha. This shirt was created by O-toro and is now available at Walrus. 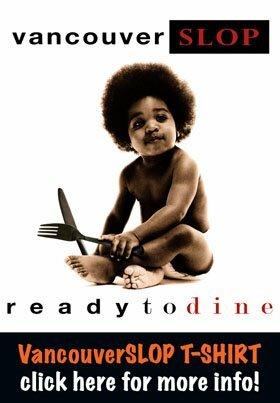 The Vancouver Slop "Ready To Dine" T-Shirt gives a nod to the Notorious Big "Ready to Die" Album cover and will be loved by both Hip Hop fans and foodies alike. Click on the above image for a full pic. It was all a dream...used to read slop blog zine....still do, now pass me the damn salt!!!! Se le agradece por levante artículo tanto útil. Continuamente en comparación a hay periodo, visitemos mi blog por esta razón también existe un buen artículo. Your post is exceptionally enlightening and contains new things to peruse. It is a good sign to attract more people and I appreciate it. Hope more update and news from you. Ukrayna Odessa Denizcilik Akademisi . Thank you for discussing this great post. 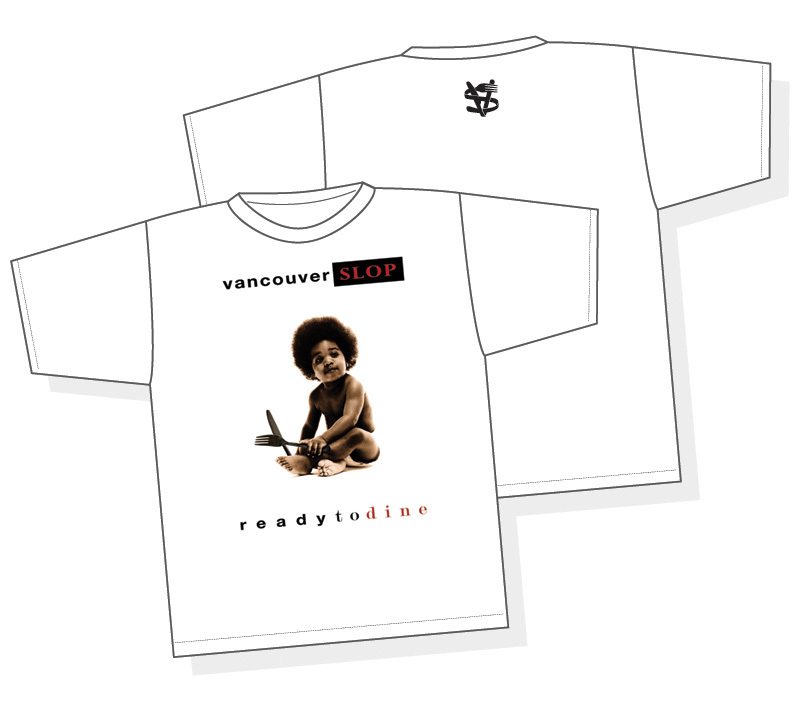 I like this article of Vancouver slop t-shirts – ready to dine. Our Company Slcparamedical College also provides one of the best institutes, training college and good services provided. Thanks for sharing blog, Vancouver slop, interest, and money, and I like the image. Our Company provides a device for hearing and speech Thanks for guide good information. Thanks for sharing good information. Thanks for posting and discussion of the topic, vancouverslop, it’s a beautiful blog, and provide an important topic so I really enjoyed this topic. Welcome to our company and provide the best services in SEO. tour packages in Kerala Thank you so much for so sharing the blog of Vancouver slop, and provides great thought well said Kerala is one of the most beautiful places for honeymooners.honeymoon packages in Kerala It will help customers to plan their holiday in Kerala.Kerala tour packages Keep Posting.